I'm a music lover, and am constantly downloading new songs to listen to at the gym, while traveling or just working at my desk. Until now, I’ve been pretty impressed with the way Apple’s iTunes lets me keep my music synced between my iPhone, iPod Touch, iPad and a few computers. Today, with the introduction of Amazon’s Cloud Player streaming music service and Cloud Drive file storage service, iTunes seems a little antiquated. Here’s how it works. 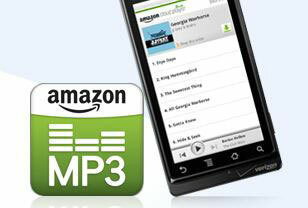 First you download and install the Amazon MP3 Uploader program. It scours your computer for all of your music—including music you’ve purchased through iTunes—and lets you choose what you’d like to store in your Cloud Drive. You can choose by playlist or individual songs and all files are stored at their original bit rate. If you go to Cloud Drive directly, you’ll see folders for documents, music, pictures and videos, so you can use Cloud Drive as your online backup service. It also means video is next on Amazon’s list for its Cloud Player. You get 5GB of free storage, which amounts to about 1,200 songs, or 20GB with the purchase of one mp3 album (typically $9.99) through the end of 2011. Additional storage is available at a dollar per gigabyte per year, so 50GB is $50 per year and so on. Each song take 5 to 10 seconds to upload, so I’d recommend letting the Amazon MP3 Uploader run overnight if you have a large collection. Then you’re ready to start enjoying your music. You can listen from any computer with a web browser or Android device that has an Internet connection. Better yet, you can then download your music to any computer or Android device for playback offline. Just select download when you start playing music and it downloads in the background—easy. Amazon is giving Apple a run for its money with the new Amazon Appstore, Cloud Drive and Cloud Player. Plus Android now competes head to head in all of Apple’s hardware categories—phones, tablets, and soon music players, with the introduction of Samsung’s 4- and 5-inch Galaxy Players. It's enough to make even iPhone users, like me, take another look at Android. This service is awesome! Take that Apple! I sit at home computer a lot and play Tiger Woods Golf online. I listen to a ton of music while I’m playing. I love this service. It’s great. Let the cloud be free! Amazon got a jump on Apple but that really means nothing. Who ever makes the cloud easiest to use will win. I have a feeling Apple will create the best cloud experience for Apple products.